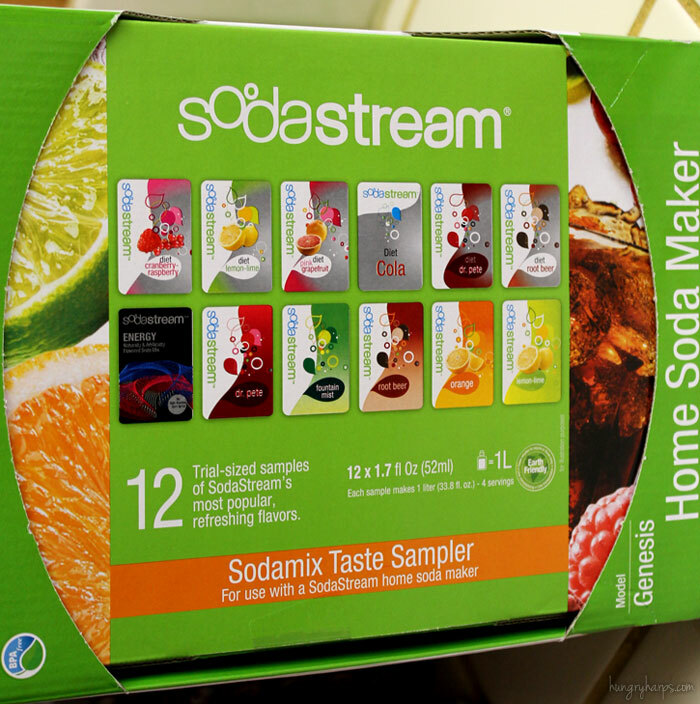 Disclosure: SodaStream provided Hungry Harps with a complementary home soda maker and SodaMix flavors for this product review. All opinions are 100% honest and my own. I couldn't wait to try it out! 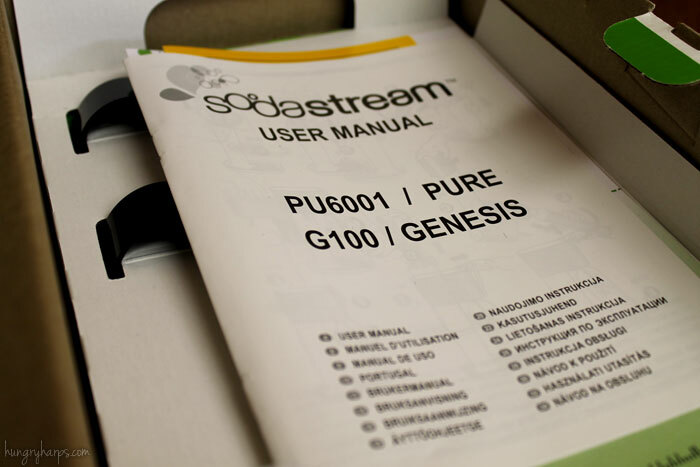 The machine I received, the SodaStream Genesis (Seltzer Starter Kit), came with a SodaMix Taste Sampler. I couldn't wait to try all the different flavors - especially the root beer & orange, those are my kiddos favorite flavors that they have not enjoyed since our ban on sodas. 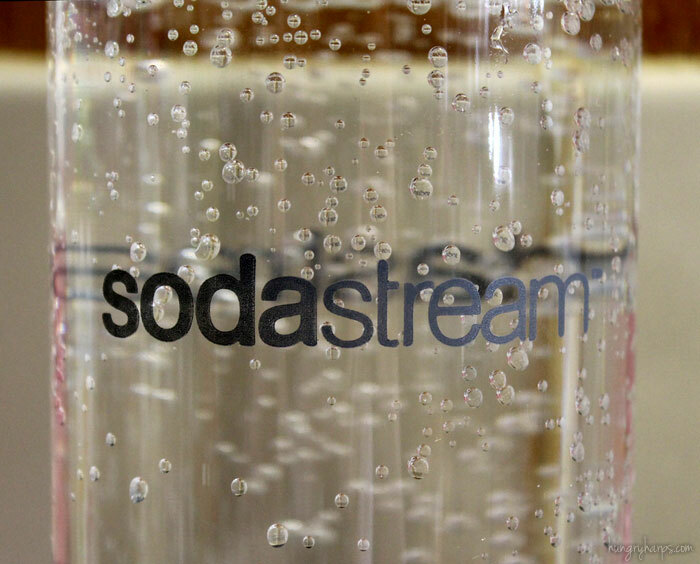 That was only to name a few - and then SodaStream also has SodaMix variety packs available. I am thirsty now just thinking about all those delicious flavors!! 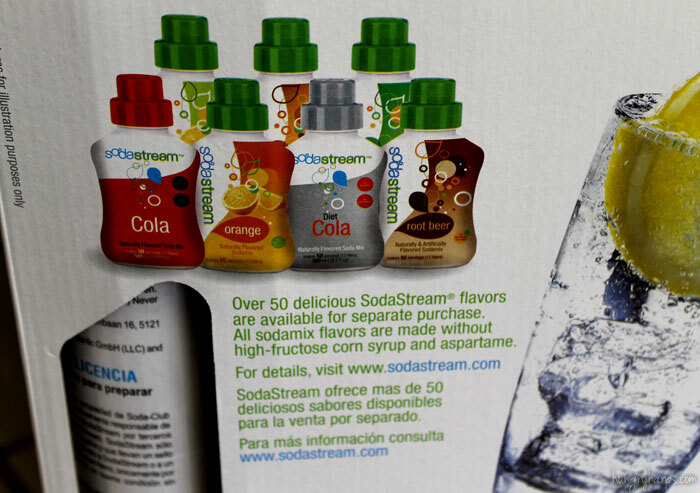 The major selling point on all of those flavors - they contain NO high fructose corn syrup and NO aspartame. Yep, I was completely sold at this point. 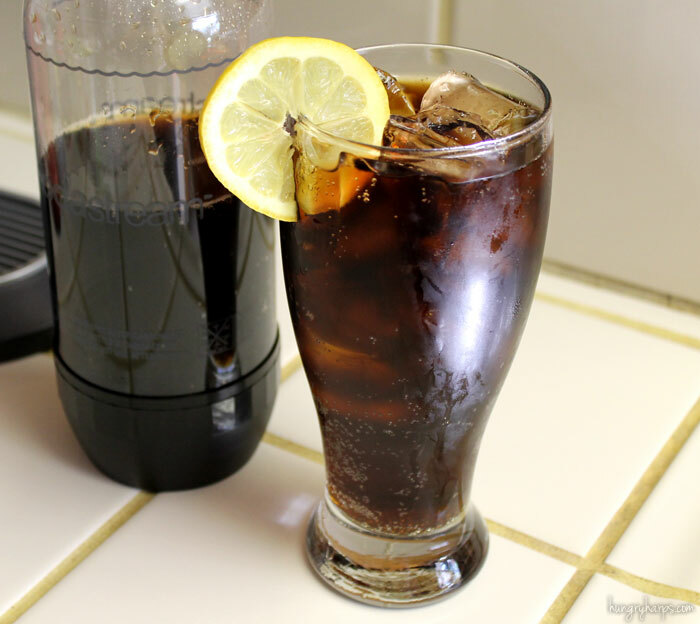 I had heard from several friends and a few reviews that it was quick and easy to make soda using the SodaStream machine - I was so excited to give it a try! 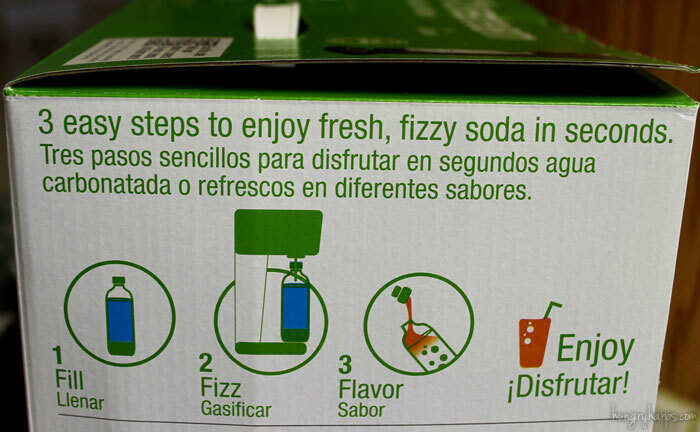 It only takes 3 simple steps: Fill, Fizz and Flavor. 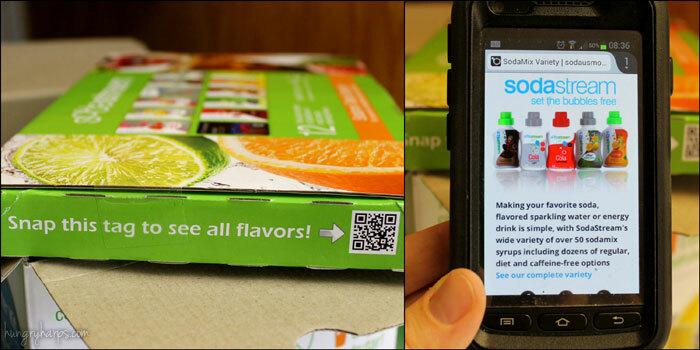 The directions were right on top when I opened the SodaStream box - perfect! Although I would love to not read directions, I have learned it's the best way to go! My favorite kind of directions are the ones with lots of pictures. Perfect! 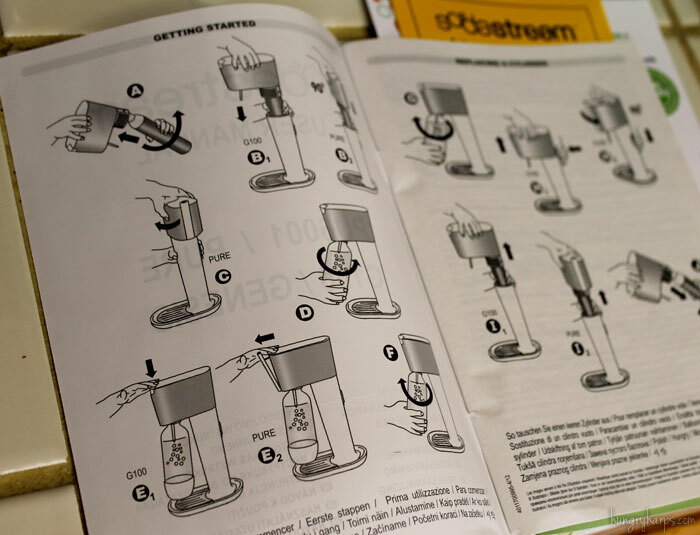 My first task was to put together the SodaStream Genesis, since it comes unassembled. Good news is that there were only three pieces - a base, a top and the Carbonator. 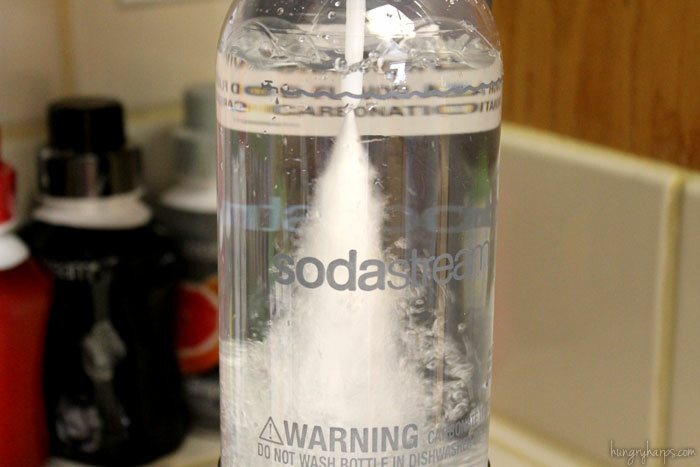 The Carbonator is a CO2 canister that gives the soda it's fizz. 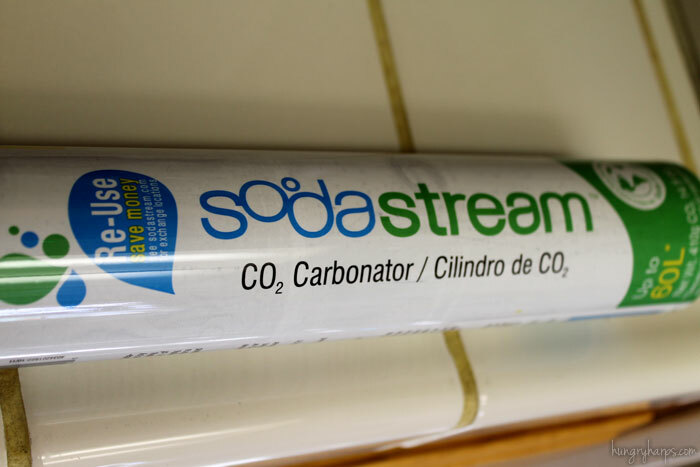 When the Carbonator runs out, I can take it into a SodaStream retailer and exchange it for a new one - only paying for the amount of gas, not the canister. I had no idea, but stores such as Walmart, Sears, Macy's and Staples are SodaStream retailers. You can check on their Empty Carbonator Info page to see where your local retailer is! 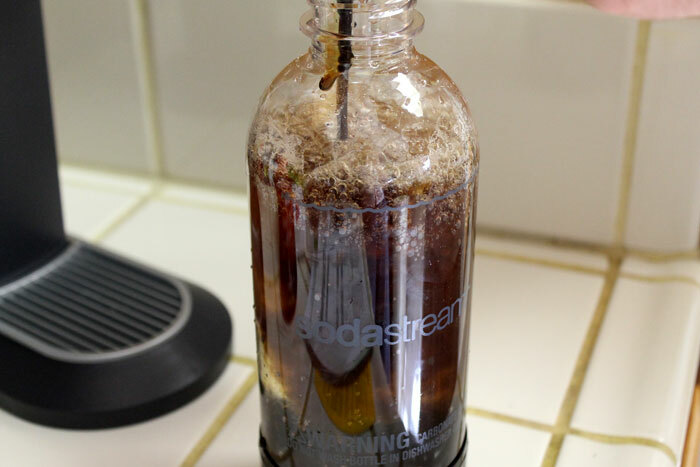 So, I got my new SodaStream Genesis put together, filled up one of the two SodaStream Carbonating Bottles, and got to soda making!! All I had to do was screw the bottle into the machine, tap the button on top 3 times until I heard a loud buzz. The loud buzz means that the CO2 is being put into the water - and soda water is being made! 3 buzzes gives the perfect amount of fizz for most of the SodaMix drinks - if you want more fizz, just press the button more times for a couple extra buzzes. Easy peasy! After I was done making my soda water, the next step was to add some SodaMix flavor. I chose the Cola flavor - it's Naturally Flavored and I thought it be perfect to start off our soda making adventures with a classic flavor. 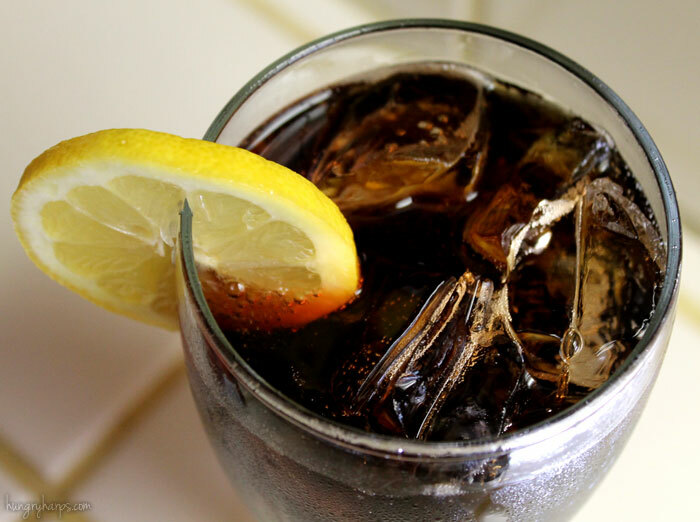 I then poured myself a fresh glass of Cola Soda, over ice and with a lemon wedge. It was fizzy and bubbly. Perfectly awesome. So, I am back to drinking soda - but in a totally different way. No more cans & bottles to waste, no more high fructose corn syrup, no more aspartame - just some tap water and SodaMix flavoring. My kiddos get to enjoy Root Beer and Orange flavored soda once again too, a special treat that they absolutely love. 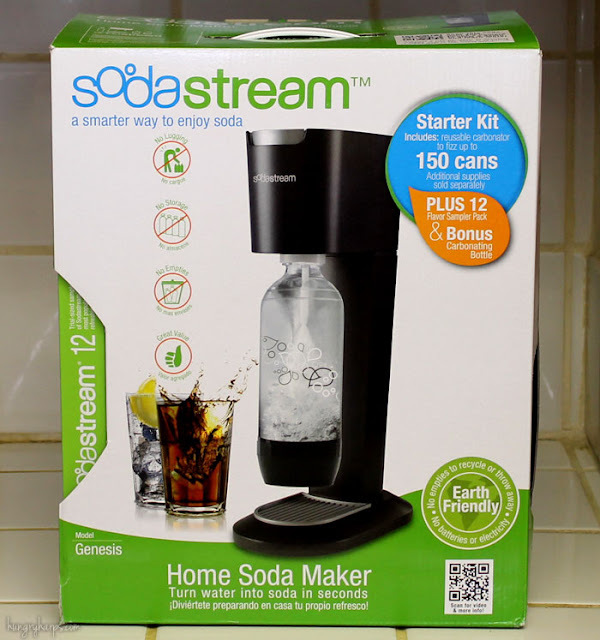 I can't wait to make some homemade beverages using soda from the SodaStream machine - both alcoholic and not. With so many flavors - the combinations and mix-ins we could add are endless. 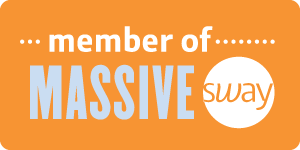 I am looking forward to sharing some of our creations, especially to help cool off in these upcoming summer months!